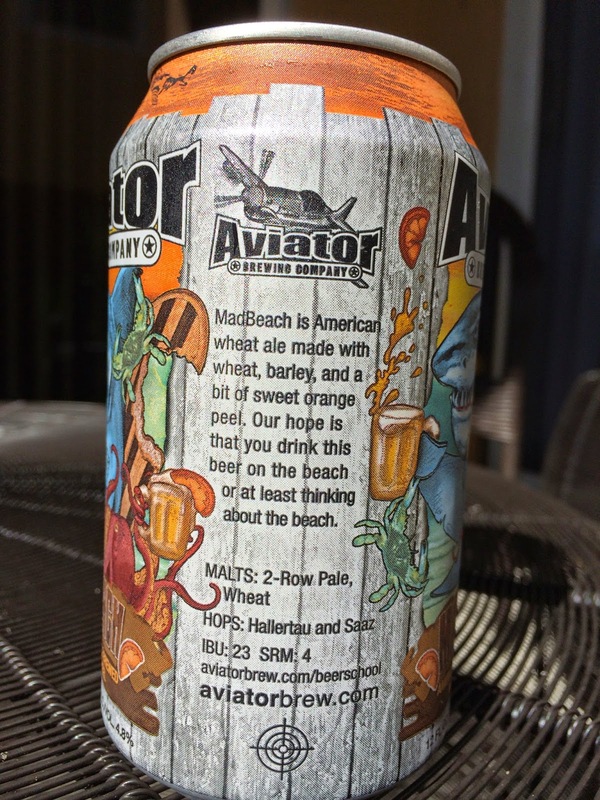 Today I'm checking out MadBeach American Wheat brewed by Aviator Brewing Company in Fuquay-Varina, North Carolina. 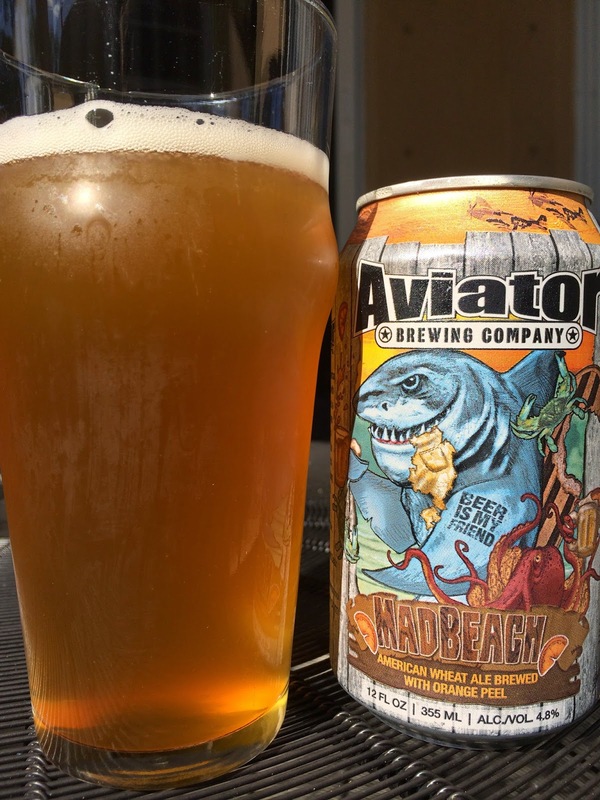 The can depicts a shark and an octopus toasting with mugs of beer. The shark is scary and sports a "BEER IS MY FRIEND" fin tattoo. The story on the side says that the brewery hopes you enjoy this beer on the beach or at least thinking about it. 4.8% alcohol. Wheat and grain aroma with a hint of orange. Nothing really stands out too much. Wheat, grain and toast flavors pretty much mimic the aroma though they do come through much more strongly. Sharp lemon and orange rind action is the differentiator in the flavors though, making this beer much more bitter than expected. Though there is that bitter rind aspect, enough grainy sweet balance does exist. The finish, however, has some undesirable weird cardboard and metallic hints. With each sip. So-so overall. I'd pass on it.